I am wondering about the value and basic information on this system. This is a neat piece. I was not that familiar with this brand so I did a little digging around. Are you in Europe? It seems this brand is very popular there and many of the pieces still have value, especially of the equipment works. 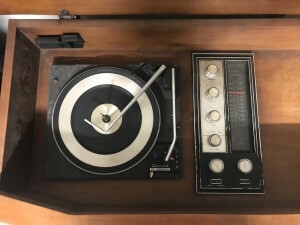 I suggest finding an expert on hi fi equipment and having them check it out for you, so you don't get cheated and get a good value for the piece. There are a bunch of variables when selling these, like working condition and condition of the console, replacement or original parts, etc. so they can give you all the ins and outs and help you value it. 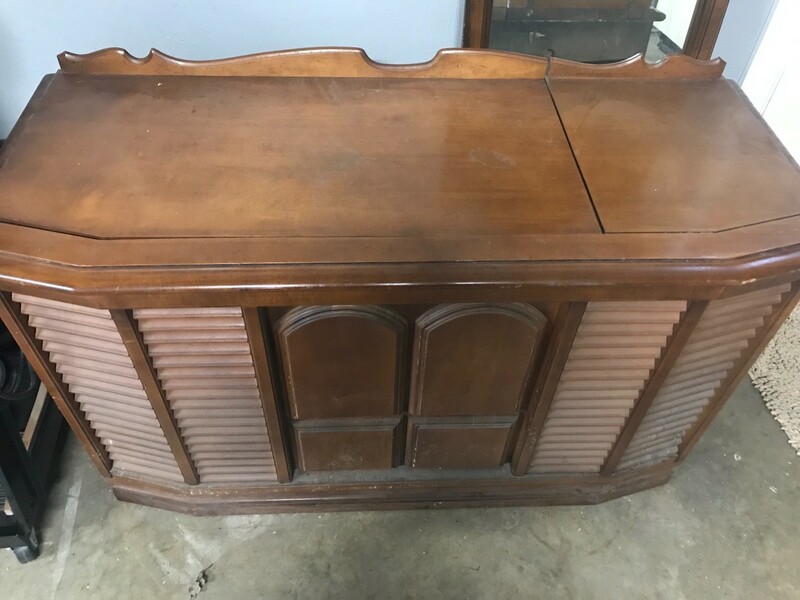 It is also best to sell big pieces like this through a reputable store like a consignment shop so you don't have to deal with the muss and fuss of selling it, trying to get it to someone, etc. You usually get more that way. Where I am in Pittsburgh, people like to take these things apart and sell off the case for flea market flip pieces and the machine for parts (if it works). But that is a regional thing and not for pieces that may have value as is, which I think yours may. Please post back what you learn!! Thanks for sharing! !